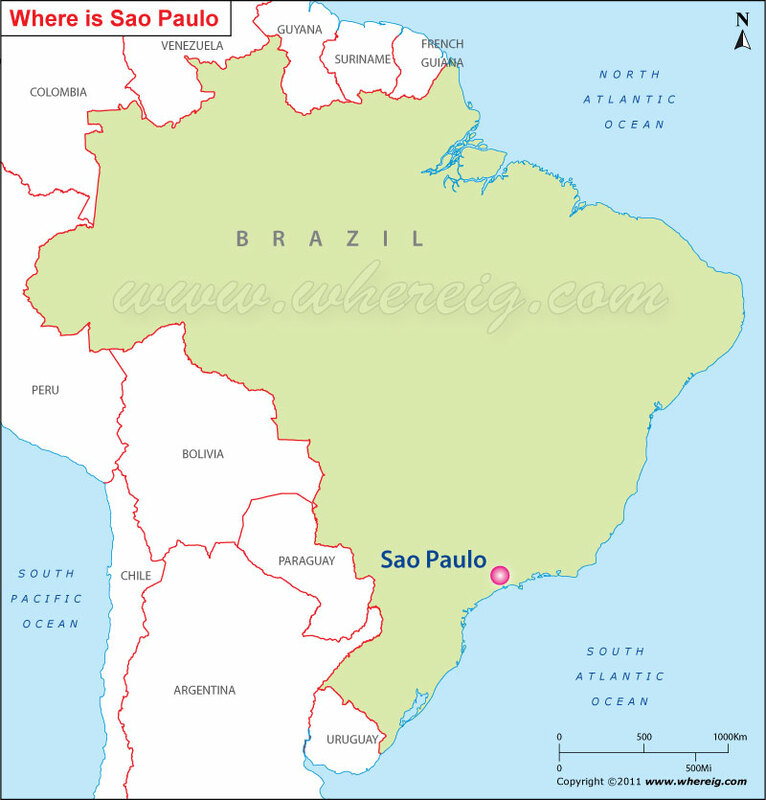 The given Sao Paulo location map shows that Sao Paulo is located on the coast of south-western Atlantic coast in the south-eastern region of Brazil. Sao Paulo is not only largest city of Brazil but it is the largest city of entire Southern Hemisphere and it has 6th rank in the world. Furthermore, the metropolitan area of Sao Paulo is ranked only 2nd populous and fifth largest metropolitan area in the world. The nickname for the city is given "Sampa". By virtue of being largest and capital city of the state Sao Paulo, it is also recognized as Alpha World City. Sao Paulo is the significant economic, financial, commerce, arts, and entertainment center. In addition, the city has various significant monuments, museum, and parks. The Ibirapuera Park and the Paulista Avenue are the most vital financial center of Sao Paulo. Above all, the city organizes high profile events including the Sao Paulo Art Biennial, the Brazil Grand Prix Formula 1 Sao Paulo, Sao Paulo Fashion Week, and the Sao Paulo Indy 300. Interestingly, the inhabitants of Sao Paulo city are known as paulistanos; whereas paulistas referes anyone from the whole of Sao Paulo state, including the paulistanos.